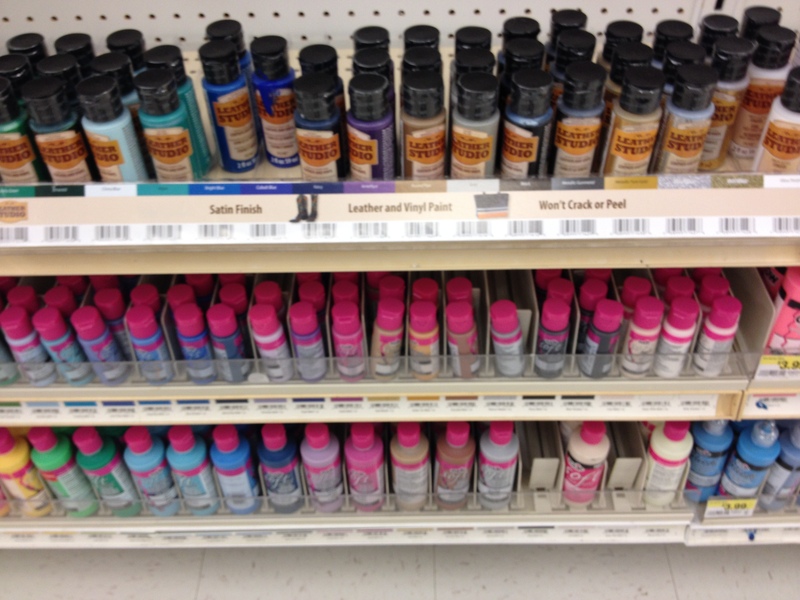 While browsing JoAnn Fabrics the other day, Mario and I came across this paint- it was in the aisle where the fabric dyes and fabric paints were, not in the acrylic paint aisle. This was only half of the display (top shelf) but there were many, many colors and shades to choose from. They were just over $2 each (we did buy this ourselves, this isn’t a sponsored post), but of course JoAnn always has some sort of coupon so there’s no reason not to get it discounted. We grabbed black since it’s a good staple color, and tested it on four different types of fabric: leather, pleather (it’s stretchy with a soft, cotton covered back), thick vinyl (from the upholstery section), and stretch vinyl, the thin stuff. The paint went on smoothly and was incredibly easy to work with. 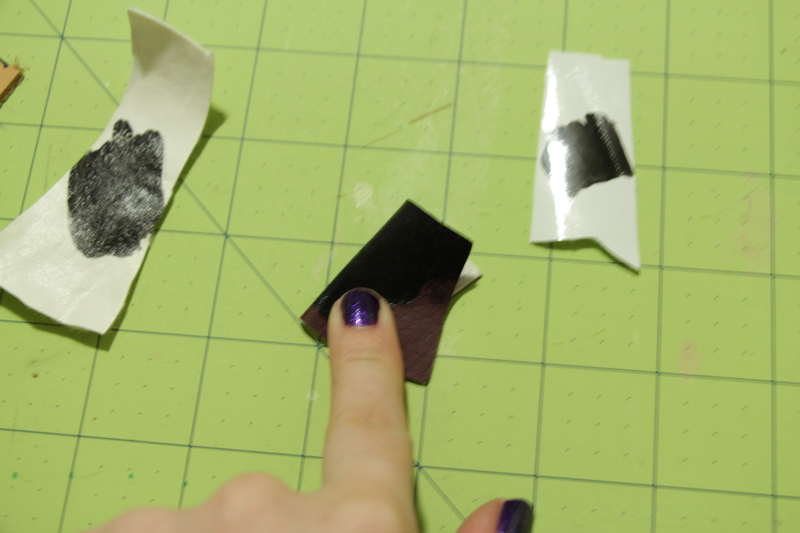 It was opaque in one coat on each one except the thinner stretch vinyl, but it would be opaque in two coats. It dries to a satin finish. It stayed flexible, thin, and as you can see here, did not crack or flake at all when bent. 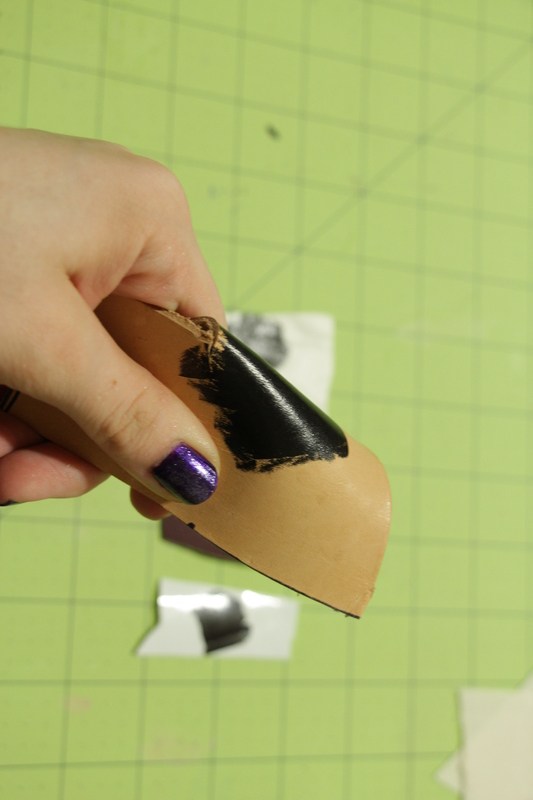 Even with the pleather, which was stretchy, it had no issues stretching with the fabric. The thick vinyl is folded in half here, and it’s still flexible and none of it came off or cracked. I didn’t get a good photo of the stretch vinyl, but it had the same effect: stayed flexible. We’ve had issues in the past with getting paint to stick to vinyl, so we’re extremely happy to have found this paint. I can see it being especially useful with plug suits or other vinyl costumes that have a lot of details in different colors. If you used a stencil or taped it off to get clean lines, it would look as if it were part of the fabric and not painted on. We’ve never had any issues painting leather, though; the leather we’ve painted has always soaked any paint right in and not had any issues with it cracking, but we also didn’t bend our leather more than you would for a belt. This is a great paint, so if you have to paint vinyl, definitely check it out! This entry was posted in Cosplay, Review and tagged cosplay, flexible paint, leather studio, paint leather, paint vinyl. Bookmark the permalink. I was really excited to see this at Joann’s the other day, so I’m even happier to know that it works well! Awesome! Thanks so much for sharing! I might have to try this out for painting shoes for cosplay. I think you should be able to! 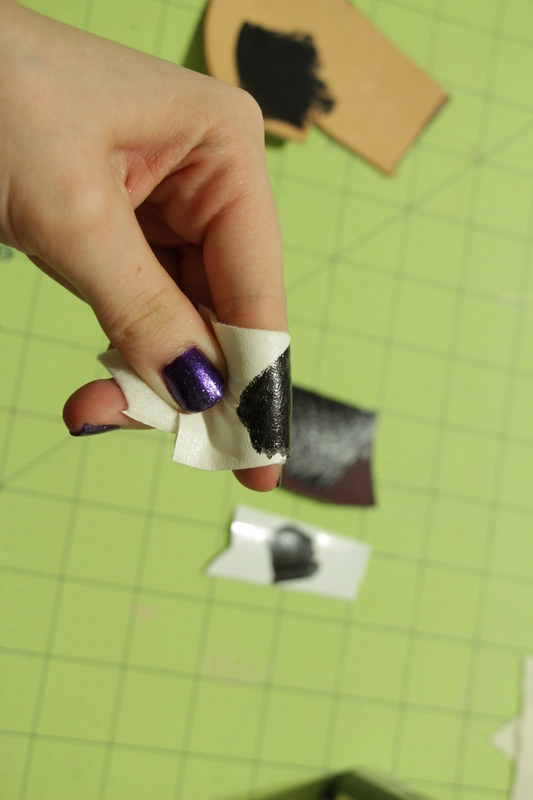 This paint is pretty opaque and stays flexible, it might need a few layers but should be good! Do you have to seal the leather paint, perhaps on shoes to protect it? Not that we’ve noticed, the leather paint is pretty flexible by itself and unless it’s being hit with acetone or a paint remover, it seems to be pretty water proof. If you need paint for shoes though, we definitely know that Angelus leather paint is perfect for shoes without needing to be sealed! 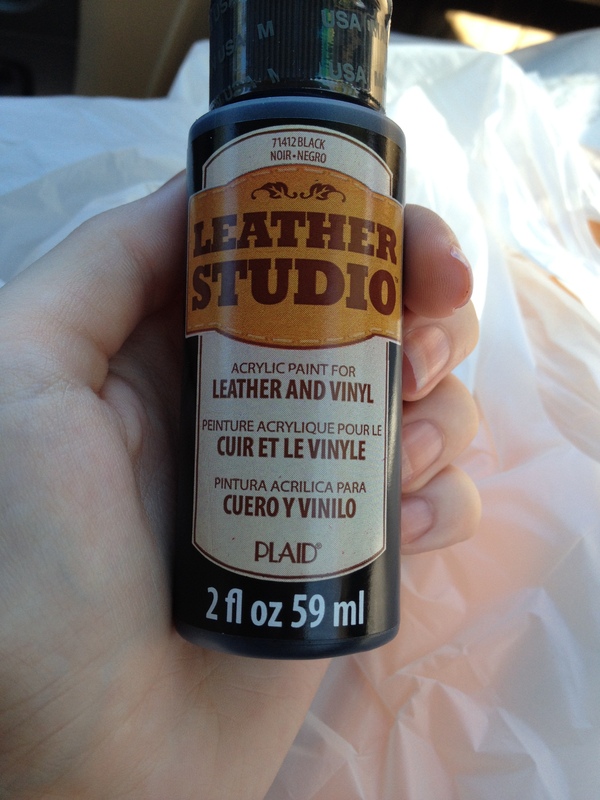 What type of leather do you use with this Paint? Did you prep it at all? 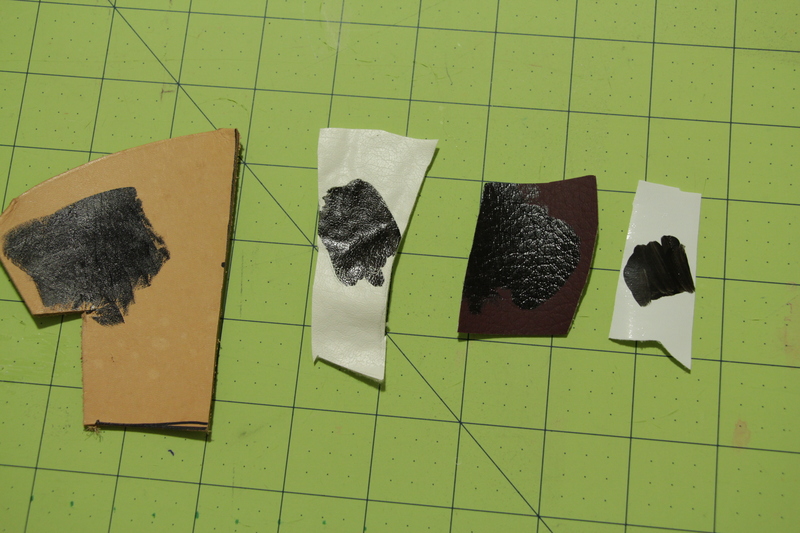 I tried using the paint on two pieces and leather (beige and black) and the some of the leather came off with the tape and also did not cover the leather well at all. I believe we’ve tested it on actual leather from Tandy and also faux leather with good results from both. You’ll want the leather to be treated and smooth, with no fuzzy details. 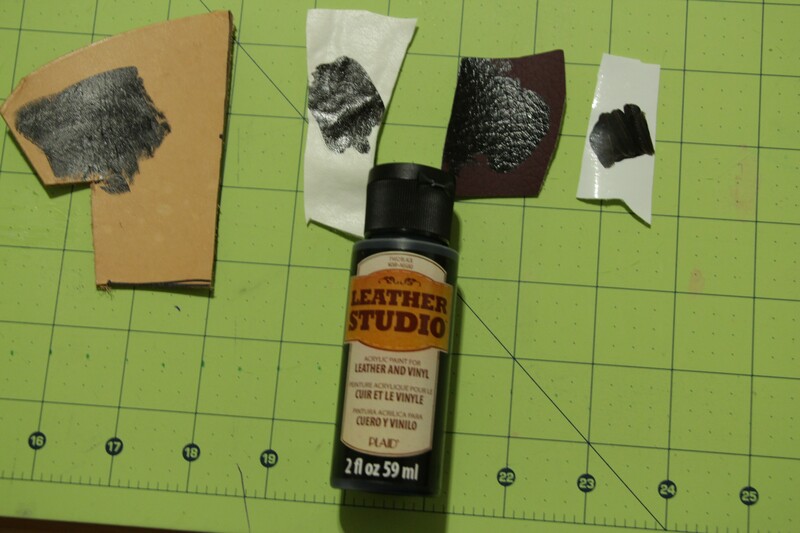 Angelus leather paint also works well!